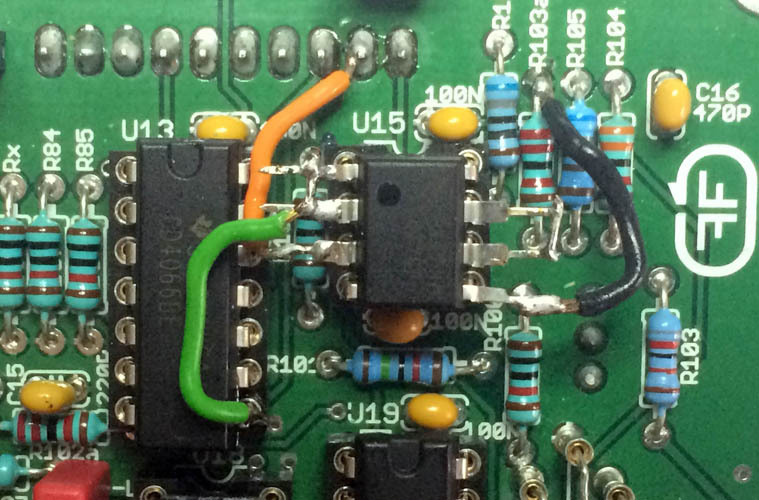 Adding a buffer opamp on square input in modulator section, the 5semitone glitch will be resolved. This update also resolves some freezing states when switching the modulator to square. Please download the Buffer Modification PDF for explanations. 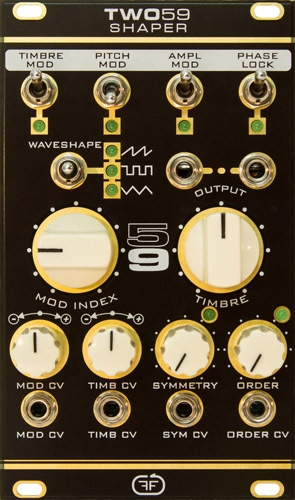 TWO59 SHAPER is the heart of the TWO59 project, being responsible for the unique timbres and modulations. 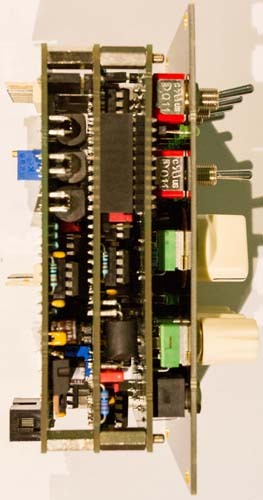 This Module works in conjunction with a pair of TWO59 VCOs, one working as a main oscillator and the other as a modulation source. Some of the details may help a lot in the building process. We tried to make the whole experience as easy as possible and give as much information as needed to avoid confusion. We also provide additional documents like BOM lists (PDF and XLS), images with part values, and photos of the construction in various stages. Feel free to download the whole pack and have fun. RE: 8x 12MM M3 spacers: fit and finish will be improved with 8x 11mm male/female spacers + 4x M3x6 screws + 4x M3 hex nuts. This makes the space between boards tighter, but everything fits. 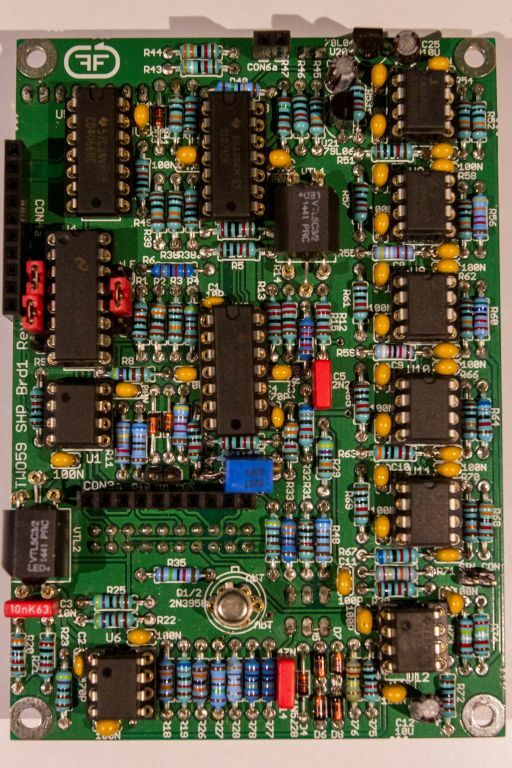 I ordered some Harris CA3160s from a trusted [ut]source on ebay, as a hedge. These were actually cheaper than Intersil CA3130s at Mouser. I started with AD711 and no caps between pins 1-8. Later, I added the caps and switched to CA3140. I could not hear, nor see on the scope any difference. Although I did not try, I'll bet TL071s would be fine too. My guess is Buchla selected CA3160 way back when his alternative was the lowly 741. 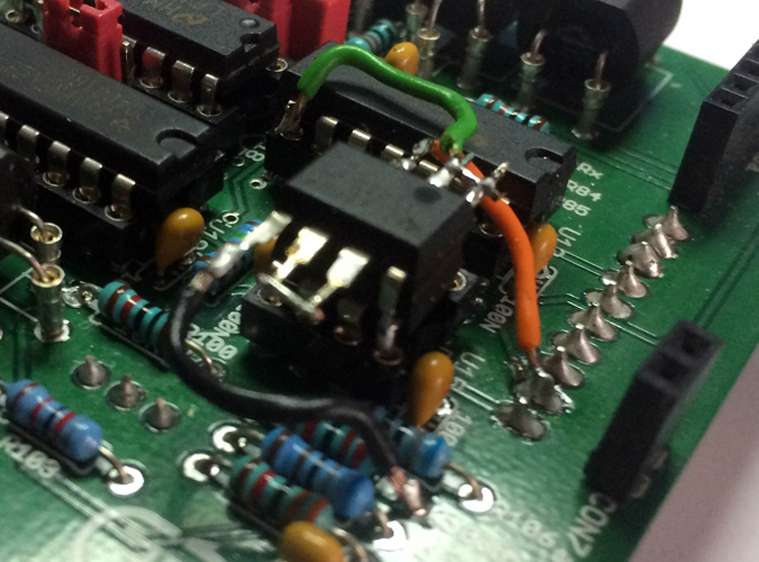 If you put CA3160 instead of the CA3130, omit the 47P capacitors noted as fc. This is the difference between the two ic's, CA3160 is frequency compensated. 1. C1: Schematic says 2u2 Polystyrene, BOM says 1u. I have never seen a polystyrene such high value - it must be a big cap. I currently have in there a 2u2 polypropylene (film boxed) cap. Can you comment on the BOM substitution and how critical this value is? My primitive ability to analyze a schematic leads me to think this is just filtering DC (?). A: Can you clarify what you mean by "Shaper pot"? B: I see no folding at final output until I increase the Order pot (regardless of position of Symmetry and Timbre pots). The instructions seem to say that Order should be at minimum. After reading this section through several times, I'm left wondering if this procedure should be performed with Order at maximum, and not minimum. Can you comment? disregard this question for now - found that I had swapped the 5K and 100K trimmers. Not sure everything is debugged yet, but scope results are making more sense now. A: With respect to Point 4, where should Order and Timbre be set? B: With respect to Point 5, where should Order and Symmetry be set? Thank you fuzzbass for pointing me the missing values from the BOM and manual. I corrected all the pointed values and some typo mistakes in BOM and manual. Being such a complex project it's possible I missed something, even with these last corrections. Please tell me if you find any error in the build. I thank you all for helping me revise this project. Also I thank you all for all the good words I receive in private messages about my projects. Sorry for the late reply, with this holidays I was off the computer for some time. 1. I use 1U polyester in place of 2.2U polypropilene. This cap is not critical, I just put it in the schematic with this value to preserve the original schematic. I tested the FM section with 1U and 2.2U, with polyester and polystyrene, and I found no difference with my ear and oscilloscope. 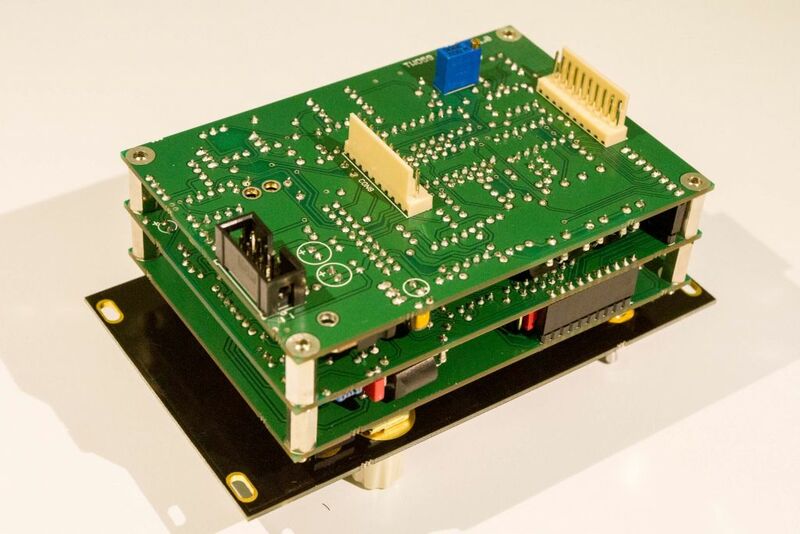 I think I will redraw the schematic with 1U in the future to avoid confusion. 2. I will correct in the manual : Shaper pot. Correct is Timbre pot. The Shaper should be called The Interociter. You will know its working when you make contact with the extraterrestrials. Totally mesmerizing on the scope too! I have no idea whether this is calibrated like a real 259, but it sure sounds amazing. All three are very thirsty too, with all four modulation switches engaged, it is drawing 215ma on the V+ rail. I didn't find any problems with the build process, just some BOM variances. Fantastic project, Strat! Its racked right next to your 106 Chorus. Thank you. 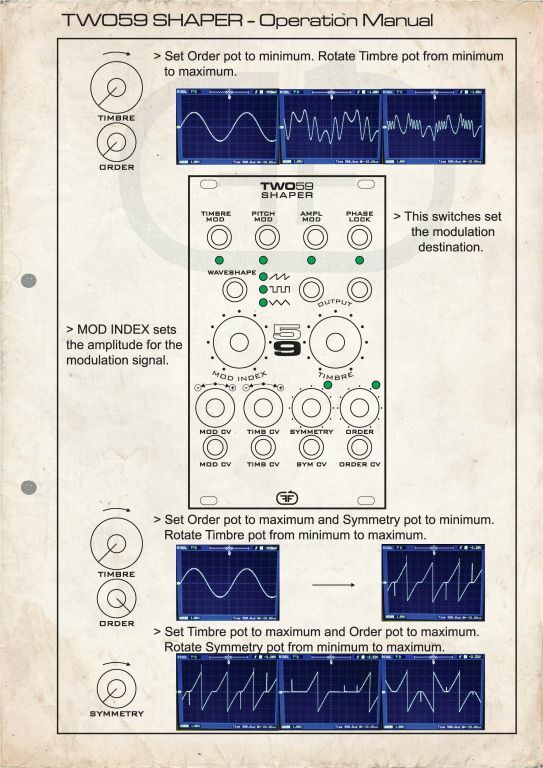 I built several shapers using this manual and all the shapers sound the same. Of course there are small variations because of the VTLs, transistors etc.. I have a stable of traditional and wavetable oscillators, and various filters. I have been reading for years about the philosophical differences of additive, versus subtractive synthesis, and the concepts are straightforward. 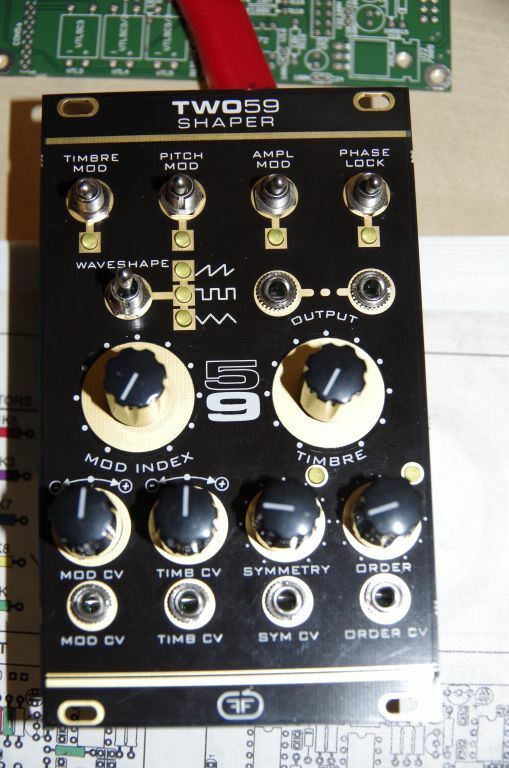 Now I have the basis of additive synthesis in my collection. In combination with a simple rise/fall transient generator and a low pass gate, finally, I can HEAR IT. I've had mine in the rack for a week. Still haven't got round to calibrating it yet as every time I switch it on I end up exploring for an hour Incredible! Working on building another Thanks for such a fantastic project. 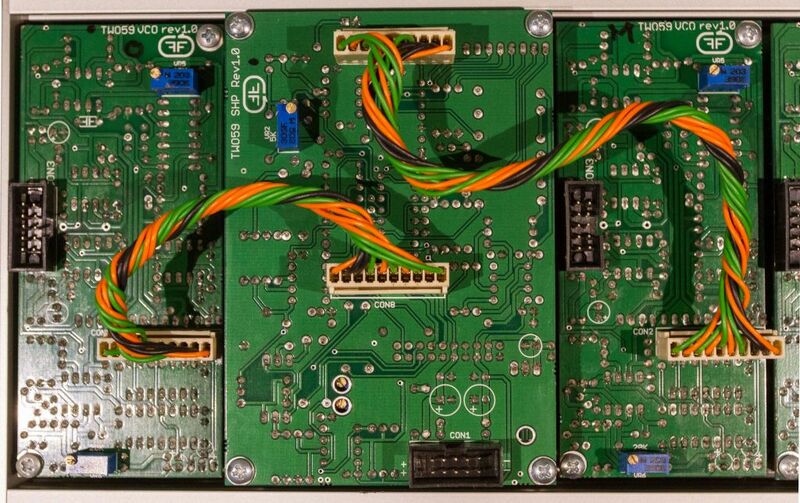 For this boards you don't have to solder together the two pins of the connector, as explained in the manual's errata. I think I may have missed this. I have the v1 boards and docs but can't find this reference. Would someone please let me know which pins this refers to? The last page in the VCO manual. This error doesn't affect the VCO functionality. If you don't correct this you will not have sync lock when you activate the lock switch on the shaper. Interesting effects can be obtain when you modulate main osc and activate lock switch. I'm working on a visual reference chart for a better understanding of the module. I have one set sounding perfect but am a little stuck debugging the second. I'm getting no pitch mod at all and very little in terms of timbre mod. I've checked all trimmer and resistor values and reflowed all joints. All ICs are correct. Can anyone think of a likely cause? If you have one working set is good, because you can compare them. Check the signal and voltages at each ic and transistor ans see the differences. Concur. It is ear opening. 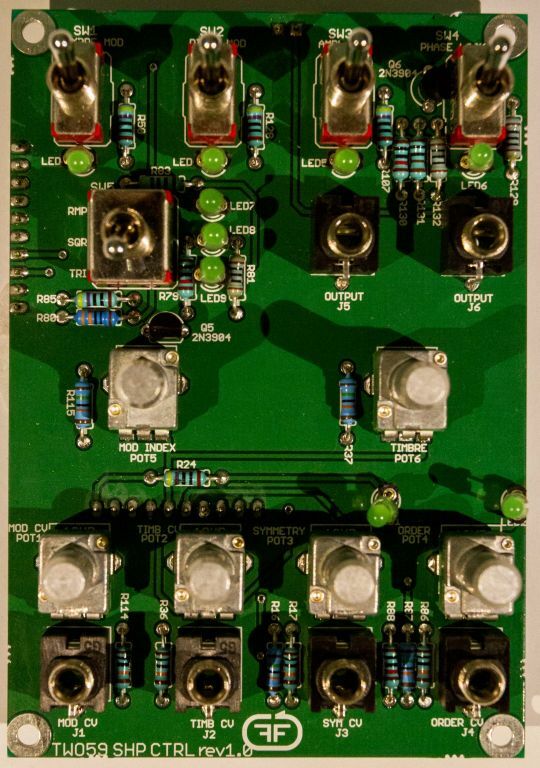 If you connect a modulation source to the timbre CV input, you will instantly be in territory alien to your typical VCO. The transistors will start to sound like sheets of wood, tubes of brass, filaments of steel. Build is under way. Nothing unusual on the control board. I decided to go with yellow leds all around. I felt it looked better with the panel color scheme. Knobs are temporary for now. After looking noticing how tight R4 was to the IC socket, I decided to mount the socket first to avoid a struggle with the socket later. 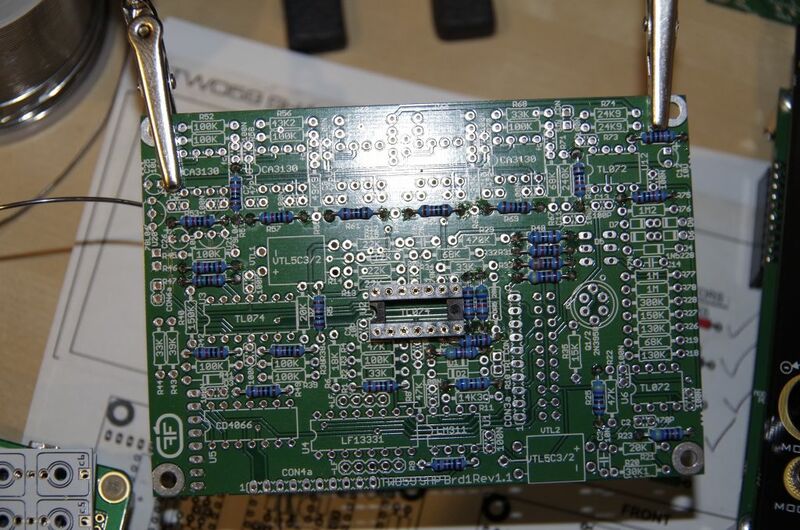 Ya, watch the soldering at the pads for a the header for select jumpers next to LF13331 pins 3-7. Some of these pins are common with the header, but at least one is not. They are very close together and its easy to bridge them - I know. I added two new pdfs to the project. One pdf is an operation manual with visual explanation. 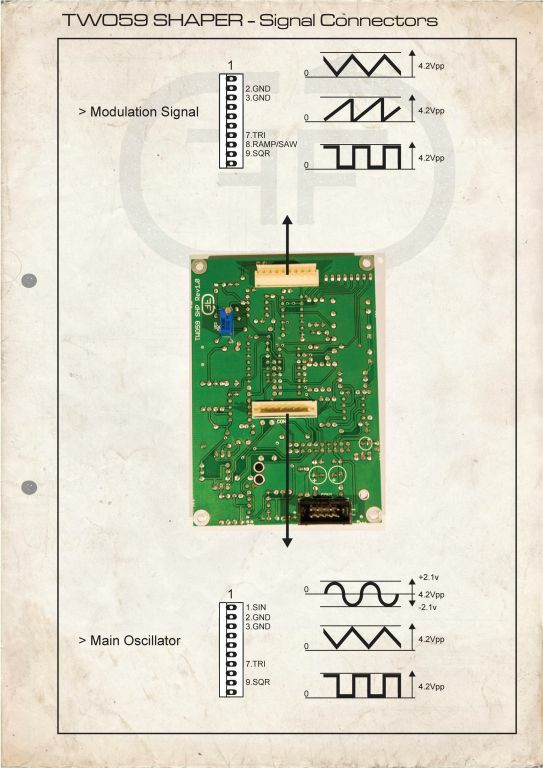 The other pdf is a reference for the input signal connectors. So if you want to buy only the shaper you should respect this voltages and waveforms. I think I made a mistake in the build. On page 13 of the build manual there is that trimmer pot that goes next to the header, OR5. It has the value as 20K in the manual. Now that I have moved to the VCOs, I'm short a 20K trimmer and I still have the 50K mini trimmer in the parts box. Where's the error or what did I do wrong? 50K in the BOM or 20K in the manual. Is it going to work correctly with 20K trimmer in OR5? The error is located in BOM, I found it. Thank you for that. It should be 20K minitrimm instead of 50K one. ...But you can put the 50K one without a problem. The trimmer will be precise enough to make the calibration. Finally got into the shaper this last weekend and came by the build thread for one question only to realize I had made a grave error. Will I risk smoking resistors (or worse) by using the underrated ones? My first reason for dropping by was to clarify the placement of that mini trimmer. 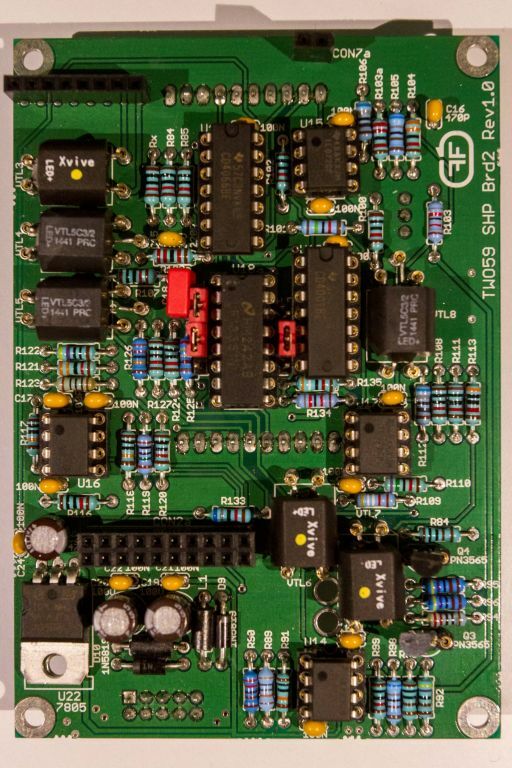 I looked at the schematics and the build guide, but just want to be sure of the correct pin placement: pin 1 to OR5 left, pin 3 into the small via-like hole, and pin two extended to OR5's right? Please look again at the pictures in the manual for instructions. I didn't put this VR on an accessible spot because of the board density, I had to make compromises for some parts. I tried multiple designs, until I reached the best compromise in part placement, noise floor, inductive capacitance etc.